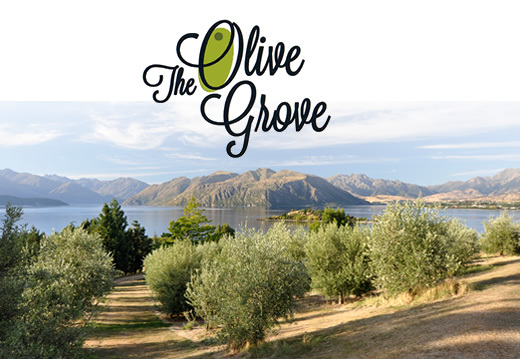 The Olive Grove Wanaka Wedding Venue is designed to maximise enjoyment for you and your guests on your ‘special day’. It provides an open air ambience, but has shaded areas for comfort in the heat. There is easy and close access to the ceremony platform for the bridal party, and for guests requiring special consideration. A large marquee area is available nearby, with easy catering access, water supply, generous nearby parking for buses/cars, plus helicopter access, if required. The wedding ceremony platform is a level, grassed area looking northeast across 200m of farmland, trees, a glorious kanauka reserve, on down to the lake and Ruby Island, then over to The Peninsula towards the lake outlet, Penrith and Beacon Point, and with Mounts Gold, Maude and Grand forming the spectacular skyline. Access is gently downhill by vehicle, or by a 40m ‘grand walk’ for the bride and her attendants. Seating, ‘props’ etc are provided by the reception venue caterer, or can be organized with the owners. If required, generous space for a reception marquee (to double as ceremony site in wet-weather emergency! ), and for associated business vehicles and apparatus (including generator capacity) is available via a 50m walk from the ceremony site. Bus access to this site for guests is negotiable. If the reception is to be held ‘off-site’, this zone is available for guest vehicle/bus parking. Should marquee and associated facilities occupy this site, guest vehicle parking is at a marked site … a 40m walk through a hazel nut grove. In either case, the usual parking access for guests is through a (marked) gate immediately beyond the Barn Pinch main entrance. Bridal party access is through the Barn Pinch gateway. Access for bridal party photographs is included in the hire of the facilities, and is based on wide access to the entire property (37ha) by negotiation, including the use of buildings and other artefacts for ‘background’. Ideas/suggestions for special arrangements are welcome … we want you to have what you want … please let us know your ideas!